Welcome to 7125 Obelisco Circle, a stunning estate where no expense was spared. Home construction began in 2005 and home complete in 2008 and sellers were original owners. Featuring an exceptional design with open floor plan and floor to ceiling panoramic views, this estate is truly one of a kind. The state-of-the-art kitchen boasts Red Aspen kitchen cabinetry, Dacor, Sub Zero and Bosch together with a 500+ bottle wine room. 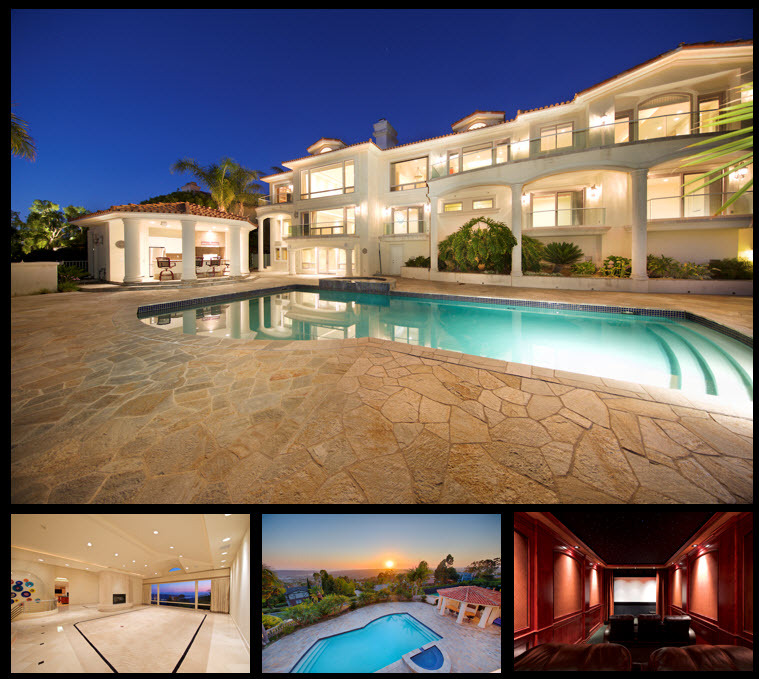 Enjoy panoramic ocean and lagoon views from all of the main living spaces, and sit back and relax in your custom home movie theater (or enjoy the surround sound in the expansive great room). The private Four Seasons inspired resort backyard showcases a salt water pool/spa complete with a kitchen and cabana and breathtaking views. Also find a dedicated auto charging outlet in the garage – the possibilities are truly endless in this one of a kind estate. Contact today for additional information!